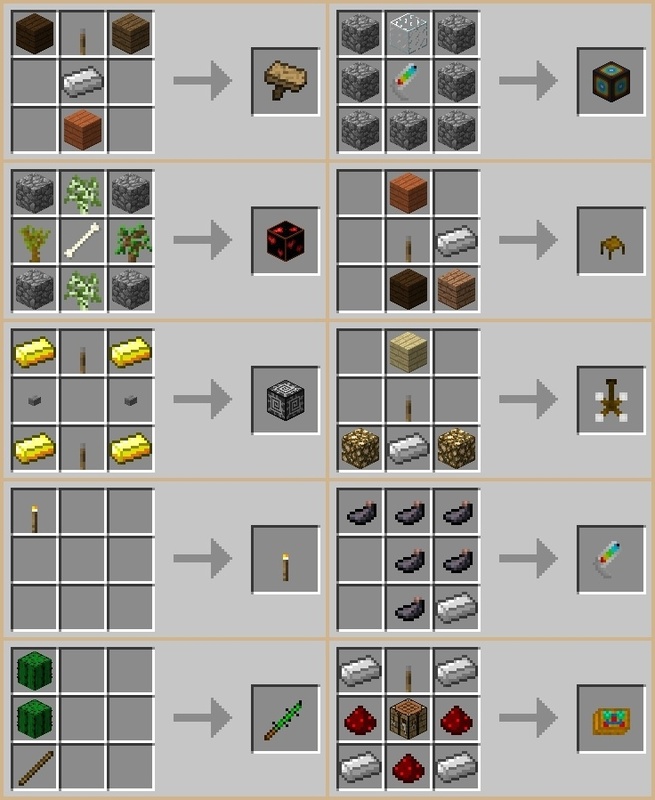 Minecessity Mod 1.12.2/1.11.2 collects and adds some multiple-tasked items and blocks with unique features in Minecraft. It is a worth trying mod for me. Particles Gun: Use as flares, but there are several unique effects in guns in Minecraft. Particle Block: Similar as Particles Fun but uses to mark the location. There are four types of effects and customized menu. Temporary Torch: Automatically come back to the storage of the players after moving over four chunks. Cactus Picker: A “talented” weapon, hurting the mobs in the surrounding. The Amazing Table: Change colors as a gecko to move to the blocks around. Chair: Its feature is to change colors. Ceil Lamp: Ceil lamp, change colors flexibly. Portable Craft bench: Use as Craftbench but used anytime and anywhere. Put Minecessity.jar file into mods folder and then run Minecraft. Done!